This week, we have welcomed seven new apprentices into our business as part of our ongoing commitment to investing in and developing young talent. This year’s intake, which includes bricklaying, joinery and technical apprentices, will work across our key regions of Cumbria and South Scotland, the North West and the North East. 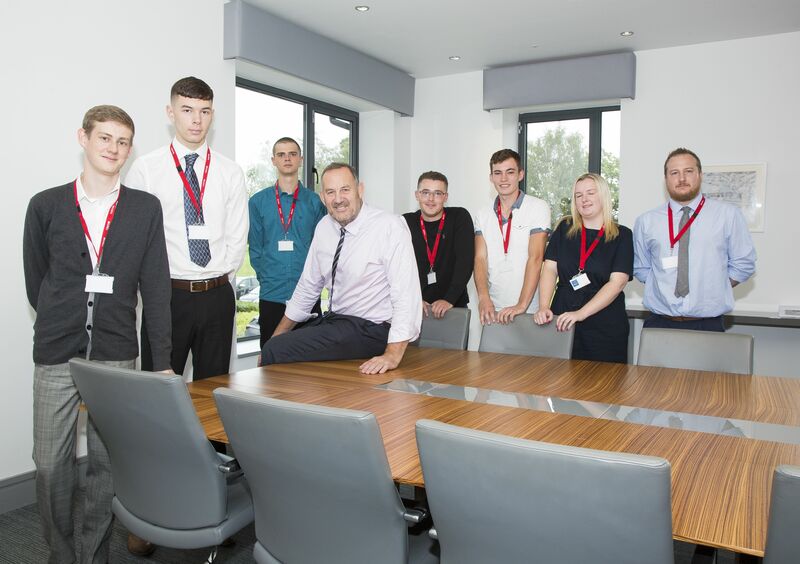 The seven new recruits were selected at our apprentice assessment centres earlier this year, beating tough competition from a number of high quality applicants. Our apprentices have kicked off their Story career by taking part in a five-day team building and induction programme with our partner Brathay in Cumbria, aimed at building their confidence, problem solving skills, and preparing them for the transition between school and work. The apprentices – who are training towards an NVQ Level 2 and 3 qualifications–, were also given the opportunity to meet senior site staff in advance of starting on-site or in the office next week. We launched our Aspire Apprenticeship Scheme in 2016, with the aim of recruiting the brightest and most passionate school and college leavers from 16 years and upwards. As part of the scheme we offer a full development programme, including on-the-job training and the potential to move into trainee site management at the end of a successful programme. As a rapidly growing housebuilder we recognise the importance of playing our part in addressing the skills shortage in the construction industry, and by providing young people with sustainable positions and training programmes we can find the next generation of talent to continue Story Homes’ growth. Shelley Hayward, Head of HR at Story Homes, said: “Following on from the success of last year’s apprenticeship scheme, we are delighted to welcome seven new recruits into the business. Click here for more information on the apprenticeships we offer.